Every now and then, we all need reminders to be our best selves. 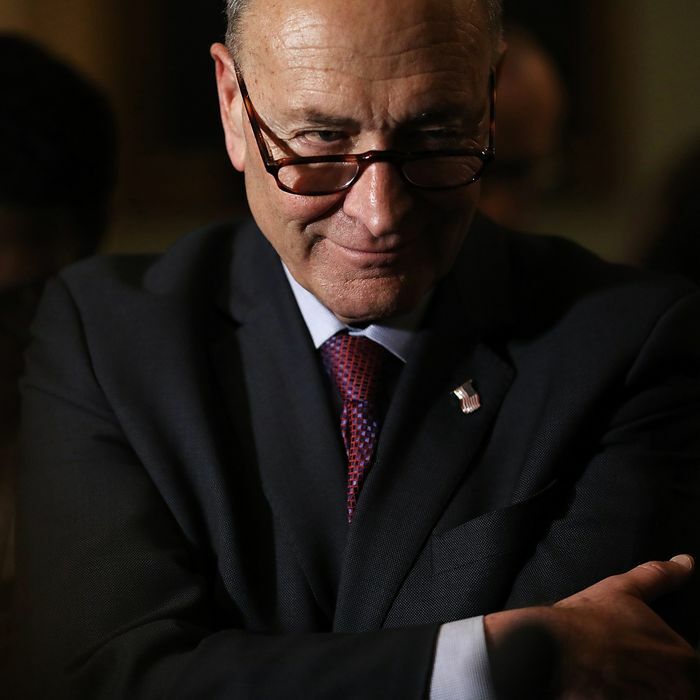 On Thursday afternoon, President Trump received one from Senator Chuck Schumer. Earlier in the day, Trump criticized the Senate Minority Leader for opposing his withdrawal from the Iran nuclear deal. But it wasn’t the substance of the tweet that drew Schumer’s sly response, it was the name-calling. Schumer replied with a helpful reminder of the anti-bullying initiative launched earlier this week by First Lady Melania Trump. Unveiled on Monday, the First Lady’s oddly named “Be Best” initiative focuses on three primary goals: supporting those affected by the opioid crisis, promoting healthy living, and encouraging children to “choose their words wisely and speak with respect and compassion” on social media.